Legendary Hollywood actor and director Clint Eastwood’s son Scott Eastwood seems to be making a prolific career for himself in film. Scott Eastwood’s onscreen appearances is like watching the younger version of Clint Eastwood when he was the favourite star of the Sergio Leone spaghetti Western films such as The Good, the Bad and the Ugly and A Fistful of Dollars. 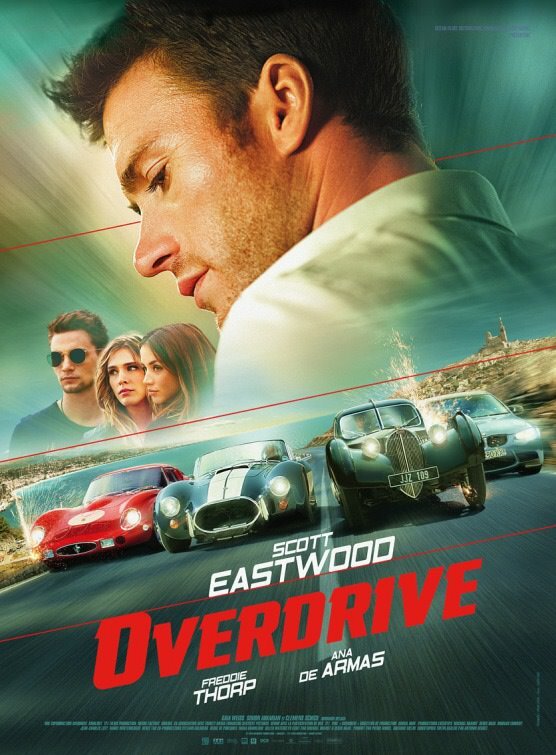 Besides starring in Suicide Squad and Fury and soon to be seen in Pacific Rim Uprising, Scott Eastwood stars in the European action thriller, Overdrive directed by Colombian director Antonio Negret and also starring British actor Freddie Thorp. The pair star as renegade car thief half-brothers Andrew and Garrett Foster. Written by Michael Brandt and Derek Haas (Wanted, 3:10 to Yuma) Overdrive clearly gets inspiration from the 1980’s Lethal Weapon films and more recently the Fast and Furious franchise. Whilst the plot is a bit thin, the luxury cars are plentiful and the onscreen brothers are helped by two gorgeous co-stars Ana de Armas (Blade Runner 2049) and Gaia Weiss (Legend of Hercules) as they are hired by local Marseilles mobster Jacomo Morier played by Simon Abkarian (Rendition, Casino Royale) to steal cars, mainly beautiful red Ferrari’s, from a rival German crime boss Max Klemp played by Clemens Schick (Point Break, Casino Royale). Set in Marseilles, port city on the French Riviera, audiences can expect lots of grandiose car chases through spectacular scenery overlooking the Mediterranean. Overdrive is really entertaining except for the poor sound quality especially when it came to the dialogue although luckily the dialogue wasn’t sophisticated. 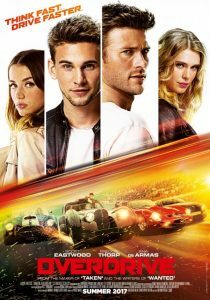 If audiences love fast cars, beautiful women and chic French locations then they will love Overdrive. Besides those ingredients, there is not much to make this film exceptional. Overdrive gets a film rating of 6 out 10. Recommended for those that enjoyed the Taken action film trilogy but without the grit.